‘The Unseeing’ is fiction, spun around historical fact, set in the 19th century. When Audrey Hart reads an advertisement for a collector of folk tales on the Isle of Skye she can’t help feeling that it was meant for her. She had a difficult relationship with her father and her step-mother; she was in an awkward situation at the orphanage where she had been volunteering. Her mother, who had a particular interest in folklore, had disappeared, had been presumed to have had an accident, while out walking on Skye many years earlier. It was hardly surprising that Audrey felt the pull of the distant island that she had visited as a very small child. That might have been because Audrey was an outsider from England; it might have been because they were obedient to the wishes of their minister, who was stern and strict and who preached fire and brimstone; but Audrey was sure that there were other, more sinister, reasons. The islanders seemed to be fearful of the consequences of having the tales that they could tell written down. Then Audrey finds the body of a girl who had been missing washed up on the beach, when she learns that she is not the first girl who went missing on the island, she begins to realise that something is very wrong on the isle of Skye and in all probability that was what made the islanders fearful. Audrey drew me into the story. I liked her, I empathised with her situation, and as the story progressed I came to share her hopes and fears and understand what she wanted to do and what she wanted to find out. I didn’t always agree – and there were times when I worried about her and feared for her – but I did understand. I appreciated that she was bright, she was curious, but there was only so much that she could do; because she was a woman of her time. There were mysteries in Audrey’s past, and as the story moved forward I would learn why she had been so anxious to leave her her father’s and stepmother’s home, why she things had gone wrong at the orphanage, and even what had happened to her mother, all those years ago. The story was well constructed, the pace was well judged, and once Audrey had drawn me there was a great deal to hold me there. Her world lived and breathed. I could hear the sea as she did, I shivered in the damp misty weather alongside her, and I I knew exactly how she felt as she ventured into new houses and across harsh and unfamiliar countryside. I appreciated the understanding of the history of the island and the way of life of the islanders; the writing was lovely and the descriptive prose, the pictures that the author painted, were wonderful. I was disappointed that the end was a little too dramatic; but it held my attention because very final revelation came at the end of the book, it took me by surprise, and that the resolution of the story was satisfying. I appreciated that this second novel sits well alongside its predecessor; and that it has exactly the right mix of things in common and things that make it different and distinctive. That said, I do think that the stronger colours of that first book suited Anna Mazzola rather better than the more muted tones of this one. I found much to love though, and I am very interested to find out what the third novel will hold. < An A to Z to pick up the threads …. This is my current read. I’m enjoying it so far so we shall see what I make of the ending, though I already have my suspicions! I’ll be interested to read your thoughts, Janet. It is interesting to me, as a researcher into pretty much anything to do with narrative just how many societies protect their stories from outsiders. Their reasons may be different, but there is almost always that same feeling that story is something that is culturally personal and not just to be shared with anyone. That is interesting. My experience is that too many people say too much, but of course I’m an available ear and not a researcher. It must have been lovely to see that pair of authors – I’ve loved Natasha Pulley’s first two novels- , and I hope you’ll enjoy this book as much as I did. Although I don’t really like historical fiction this sounds like a fascinating read, I have to say. 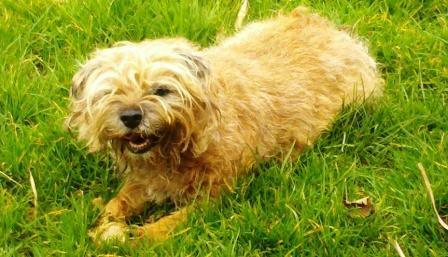 My name is Jane, and I live on the Cornish coast, with the Man of the House and a border terrier named Briar. This is where I write about books, and about other things that interest me. If you want to know more, just take a look here. Please do leave a comment - or email beyondedenrock at gmail dot com - if you see anything that interests you, or if there's anything you'd like to know.